Amy Bergs DVM MRCVS graduated from Cornell University’s College of Veterinary Medicine in 2006. 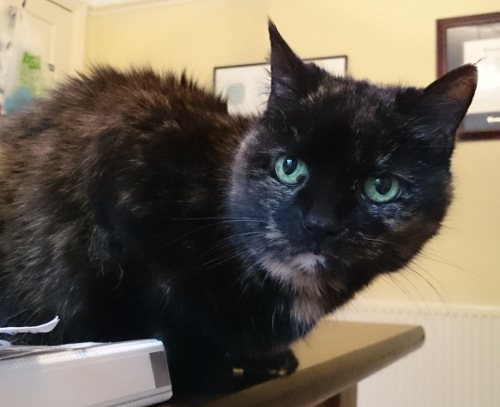 Her academic interests lie in feline internal medicine and she has a soft spot for older cats. 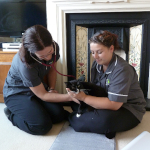 In 2013 she started The Cat Doctor, a feline-only mobile veterinary practice in Surrey and South West London. I’m a vet, so of course I’m going to say yes, right? Pet insurance allows me to perform more diagnostic tests and treatments for my patients which means not only happier, healthier pets but also a more profitable practice. So you would think that I would recommend it to all of my clients and in fact many vets do, signing up kittens and puppies the minute they walk through the door. The truth is, however, that even though pet insurance makes my life easier I don’t recommend it for everybody because every situation is different. How can you tell if it’s really worth it for you? It helps pay a portion of the veterinary fees should your pet become injured or ill. If you couldn’t otherwise afford a large vet bill should disaster strike then it can mean the difference between life and death for your pet. It offers other benefits such as reimbursing you for the price you paid for your pet if they die or are lost or stolen, providing third party cover if your pet injures another person or animal and various other travel or holiday related benefits. It gives you peace of mind knowing that your pet is going to be taken care of. It’s expensive, and it only gets more expensive with time. It’s easy to end up paying more in premiums than they pay you in compensation. Most of the time you still need to pay your vet when treatment is provided and it can take weeks to get your money back. It doesn’t always pay out the way you expect it to. How much does it cost? Figure out exactly how much you will be paying over the course of the year. A low monthly payment can add up to a large annual sum. What is the coverage limit? Not just the overall limit, but also the limit per condition. Some of these are quite low and could leave you with a significant out of pocket cost for vet bills even after the insurance pays out. How long will it cover a particular condition for? Some policies will cover a condition for the entire life of the animal while others only cover a given illness for a particular length of time. This may be fine for a broken leg but not terribly helpful if your cat develops a chronic medical condition. What is your excess? Don’t forget that for each new illness, you will have to pay a certain amount as an excess before the insurance pays out. This excess is payable at the beginning of each new policy year so you could end up paying several excesses for the same ongoing condition over time. Do you have to pay a percentage of each claim in addition to the excess? This is an extra fee on top of the excess that many policies include and is particularly common for older animals. 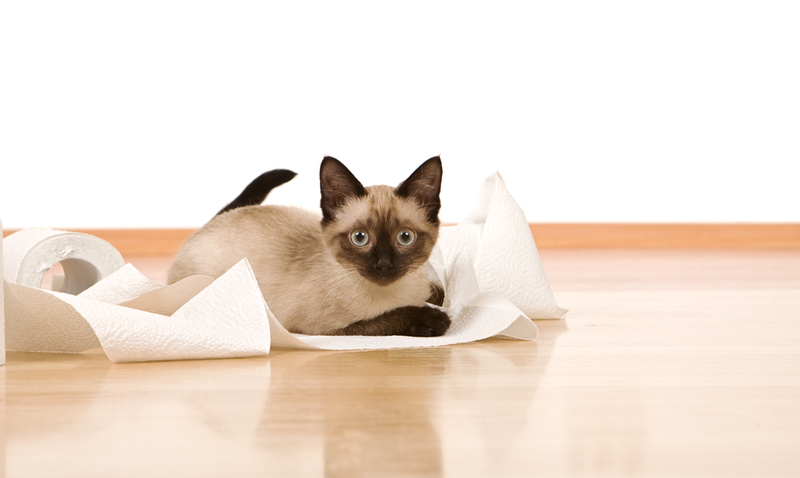 The percentage you pay can increase as your cat gets older so be prepared. What conditions are actually covered by the policy? Pet insurance doesn’t cover any routine vet care such as vaccination or neutering, and very few policies cover routine dental treatment or special prescription diets. Some cover complementary veterinary therapies such as acupuncture and physiotherapy while others don’t. The same goes for home visit call-out charges. Does your pet have any pre-existing conditions? This is critically important as most insurance companies won’t cover any condition (or even related conditions) that your pet had before you took out that particular policy. How much will the cost of the policy increase each year? Most policies will increase in price from year to year, which is not unreasonable due to inflation and the increasing probability that your pet will require a claim as they get older. Stop and think – do you actually need pet insurance? Look at your own financial situation. If you have a tight monthly budget with no room for extras then pet insurance can make very good financial sense. If, however, you are able to absorb a larger vet bill (some injuries or chronic illnesses can add up to thousands over the course of the disease) with the help of a credit card, savings account or generous relative, take this into consideration before signing up. 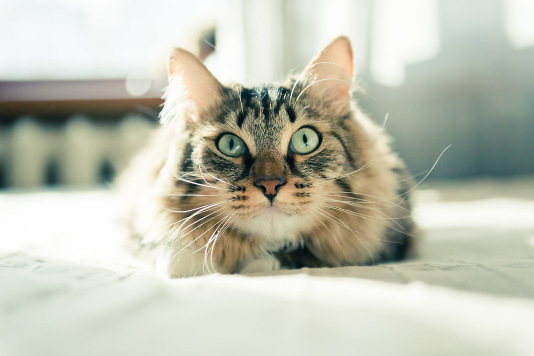 Many people don’t realise that switching providers means that everything that your cat has ever been treated for in the past suddenly becomes a pre-existing condition whether you had previously claimed for it or not. It’s a nasty surprise when your claim is denied even though you’ve successfully received payment for a similar condition in the past, and even nastier when you forgot about that time your cat had an upset stomach and now find out that she isn’t covered for any gastrointestinal condition. I’ve seen this happen more times than I care to count and it’s not pretty. So, is pet insurance really worth it? If you can find the money in the case of a veterinary emergency or ongoing medical condition, the answer is probably no. Having pet insurance doesn’t make you a better pet owner if you don’t need it in the first place. From a purely financial point of view, if you look at the average life of the average pet and compare things on a pound for pound basis, after all the exclusions and fees it’s probably not worth it. All insurance is a gamble, and judging by the number of successful pet insurance companies out there, chances are the house usually wins. If, however, your financial situation is less secure, the answer may very well be yes. Pet insurance is about making sure you have the money you need when you need it. Nobody wants to be faced with the heart breaking situation of having to deny veterinary treatment to a beloved pet for financial reasons so if you find yourself faced with that possibility, then pet insurance is probably worth it for you. Just make sure you know what you’re signing up for.